Rodrigo “Digong” Duterte has won the Philippine presidential elections, following the withdrawal of his opponents. Although the official result has not yet been declared, main rival Mar Roxas admitted defeat after polls gave Digong Duterte an unassailable lead. The 71-year-old Maverick anti-crime candidate said he accepted the mandate with “extreme humility”. Digong Duterte stirred controversy during campaigning with his incendiary comments. He has credited his success to his tough stance on law and order. 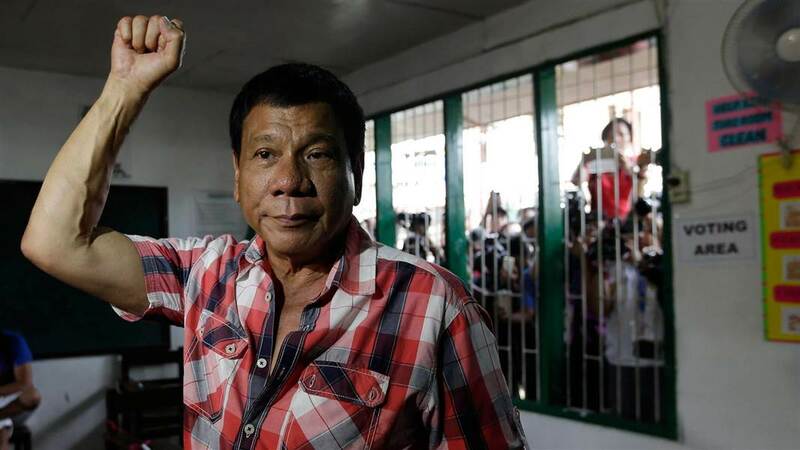 Rodrigo Duterte’s record as the crime-crushing mayor of the southern town of Davao, once notorious for its lawlessness, earned him the moniker The Punisher and resonated with voters. Other driving issues of the election campaign were pervasive corruption, as well as the poverty and inequality experienced by many Filipinos despite economic growth under outgoing President Benigno “Noynoy” Aquino. According to election officials, there was a record turnout at polling stations, with more than 81% of the 54 million registered voters casting a ballot. Senators and about 18,000 local officials including mayors are also being elected. The PPCRV (Parish Pastoral Council for Responsible Voting) poll monitor said that with 90% of the presidential ballots counted, Digong Duterte had more than 14.8 million votes – about 39%. The PPCRV is accredited by the election commission to monitor counting but its reporting does not represent an official tally. Mar Roxas, a former interior minister and Digong Duterte’s closest rival, had 8.6 million votes. Another key rival, Senator Grace Poe, was the first to concede defeat, promising to “co-operate with the healing process” after a turbulent campaign. In the election to be vice-president, Leni Robredo, a social activist, is currently slightly ahead of Ferdinand “Bongbong” Marcos, the son of a former dictator Ferdinand Marcos. Benigno Aquino is standing down as the constitution limits presidents to one six-year term. As Digong Duterte rose in opinion polls ahead of voting, Beningno Aquino had tried to unite other candidates against him, warning his election could mean a return to dictatorship for the Philippines.